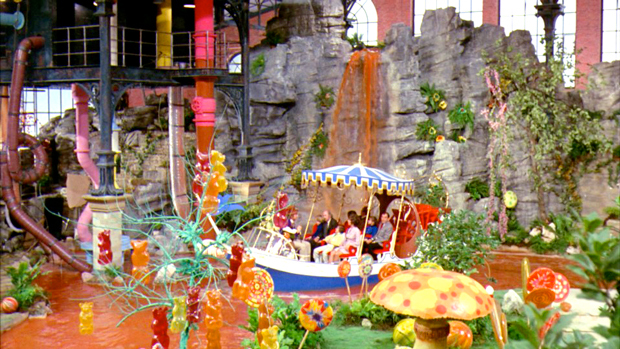 Diving into the chocolate river of the 70’s cinematic classic Willy Wonka leads to a world of pure design imagination. 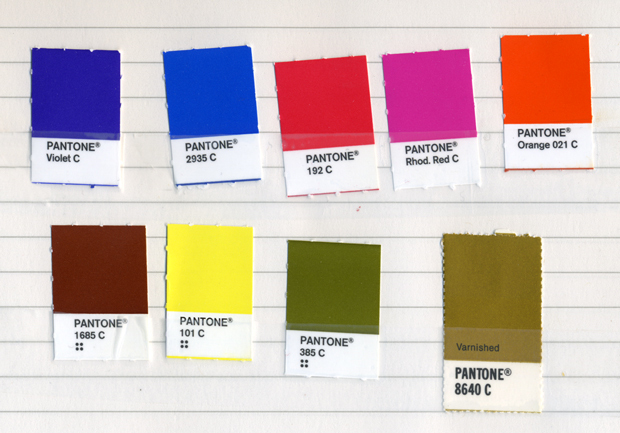 Last week, I was working on an identity system’s color palette. I was quite taken with my solution, and the client liked and approved it, but they kept saying how “retro” it was. I didn’t see it. I hate when that happens, and it happens more than I’d like. I work on something with absolutely no intention of going down a “retro” path, and then someone uses that word. My business partner Noreen Morioka says I live in the bubble. So it must be a bubble in time where I design things that perpetually look like they were done between 1960 and 1970. 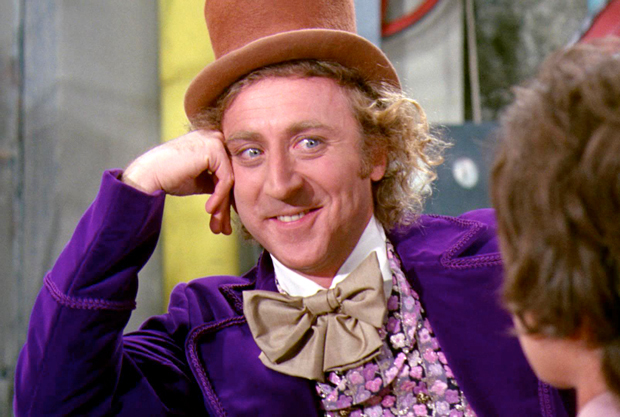 A couple of days after the “retro” comment, I was watching Willy Wonka and the Chocolate Factory. And, yes, the client was right. 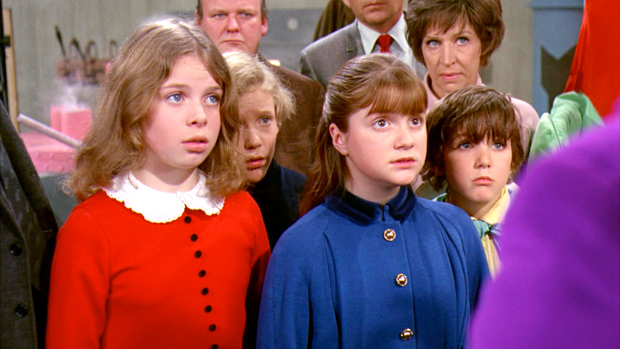 My color palette matched the Wonka palette from 1971. Ahh, but what a palette it is! Someone with a strong knowledge of psychotropic chemicals dreamed up Wonka’s purple velvet blazer, Violet Beauregarde’s deep blue skin, and Veruca Salt’s scarlet baby doll dress. When you combine this with the chocolate brown river, shiny gold ticket, and pumpkin orange Oompa Loompas, you end up with a remarkable feast of colors that shouldn’t coordinate. 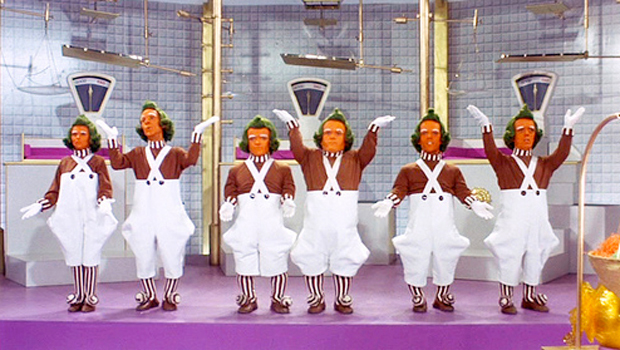 The Oompa Loompas are hypnotic. Their orange skin, not unlike John Forsythe on Dynasty, combined with the avocado green hair and brown striped socks are a masterpiece of tone. 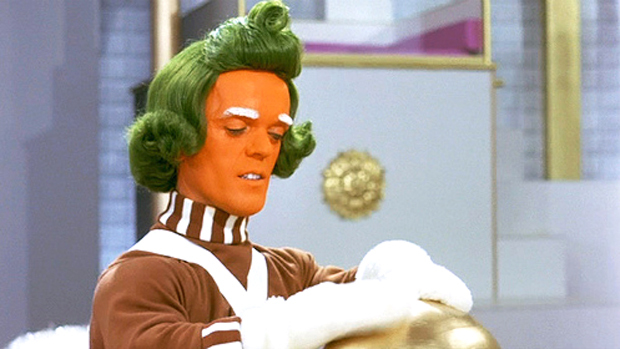 If I had a child, I would force them to be an Oompa Loompa for Halloween. They would complain about the orange skin make-up. But they would photograph wonderfully. Target, USC, and The Walt Disney Company. Work by AdamsMorioka has been exhibited widely, including a solo exhibition at the San Francisco Museum of Modern Art. Sean has been recognized by every major competition and publication including STEP, Communication Arts, Graphis, AIGA, The Type Directors Club, The British Art Directors’ Club, and the New York Art Directors’ Club, and as one the forty most important people shaping design in the I.D.40. Sean is a frequent lecturer and competition judge, teacher at Art Center College of Design and president ex-officio of AIGA. He is the co-author of Logo Design Workbook, Color Design Workbook, and the book series Masters of Design.